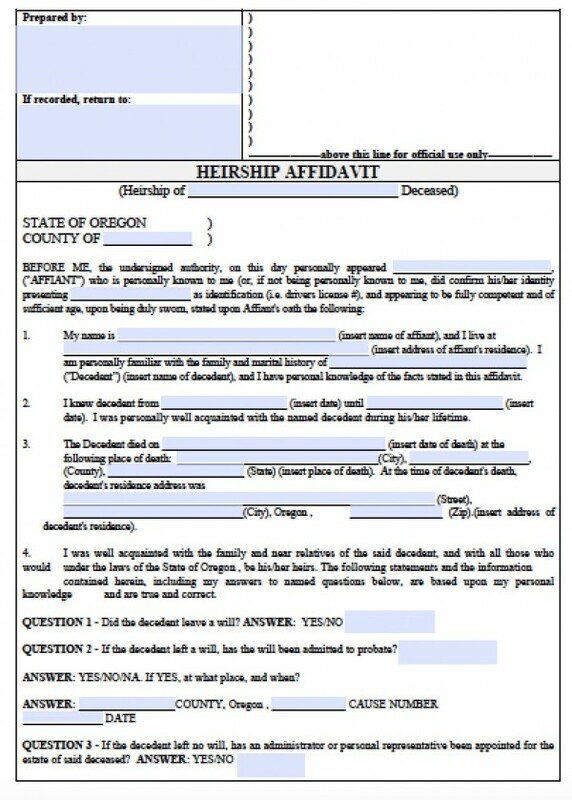 The Oregon affidavit of heirship is covered by statutes ORS 114.505 to 114.560. The successor(s) may file 30 days after the decedent passes away, and the value of personal property including bank accounts, trusts, debts like final paychecks, life insurance policies, and heirlooms cannot exceed $50,000. 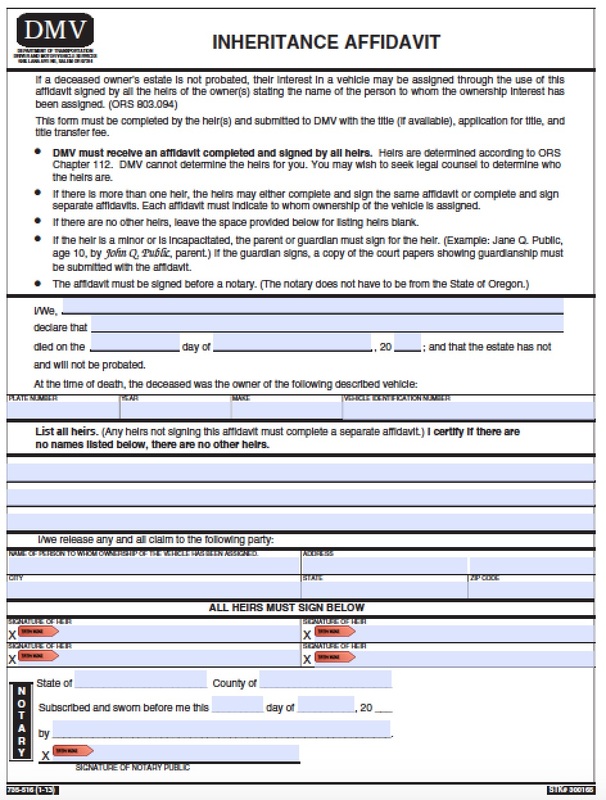 The decedent may have a will, but affidavits cover finances and items that are not covered in the will. 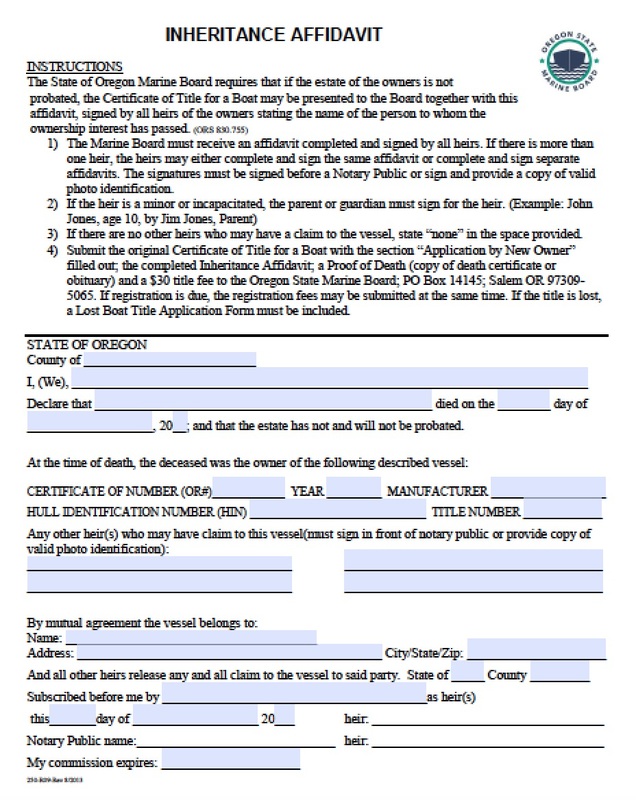 The state specifies that certain successors may file, as long as the successor has been listed in the decedent’s will, is a blood relative, or a surviving spouse.